Microsoft has released an update for Windows 7 and Windows 8.1 that will please users who've decided to stick with an older operating system. KB3184143, as spotted by ZDNet, removes the Get Windows 10 app and all other software related to Windows 10 upgrades. The primary purpose of the Get Windows 10 app was to promote the Windows 10 free upgrade offer and try to convince as many users as possible to upgrade. However, the app's tactics were controversial: it not only advertised Windows 10 through pop-ups, but it would also sometimes install Windows 10 in the background, even if you clicked to dismiss the pop-up windows. 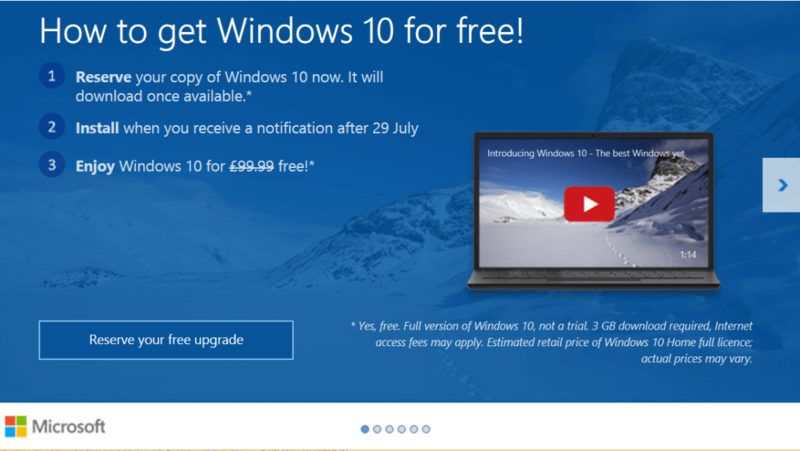 While most advertising for Windows 10 inside older versions of Windows disappeared when the free upgrade offer ended on July 29th, the Get Windows 10 app was still deployed on most Windows 7 and 8.1 systems. KB3184143 "removes the Get Windows 10 app and other software related to the Windows 10 free upgrade offer." Despite Microsoft's occasionally annoying advertising tactics, the Windows 10 free upgrade offer and the Get Windows 10 app seem to have been a successful venture for the company. More than 350 million people are now using the operating system, which points to faster-than-usual uptake for a new version of Windows. The free Windows 10 upgrade offer has ended, but if you want to install Windows 10 on your Windows 7 or 8.1 machine without buying a full Windows 10 license, Microsoft is still offering free upgrades for people who claim they are using assistive technologies.